Whether you are a local government or a private business, every day your most important asset walks out of your door—your employees. Clemons Company helps bring them back. That’s what high value benefits do; engender loyalty that brings employees back , day after day, year after year, motivated to perform at the highest level. In short, Better Benefits for Better Employees. The value that you receive from your benefits plan depends on how effectively the benefits are communicated to your employees. Clemons Company works closely with your HR staff to understand your workforce and develops a communications strategy specifically for you. 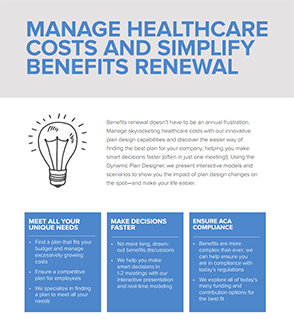 We take the necessary time to educate your employees on how to access their benefits in a cost effective way. The better educated they are, the more satisfied your employees will be with your benefits plan.